Medium. Digital glaze print fused to ceramic tile and glass panel. Dimension. 7.0 ft wide x 9.5 ft high. 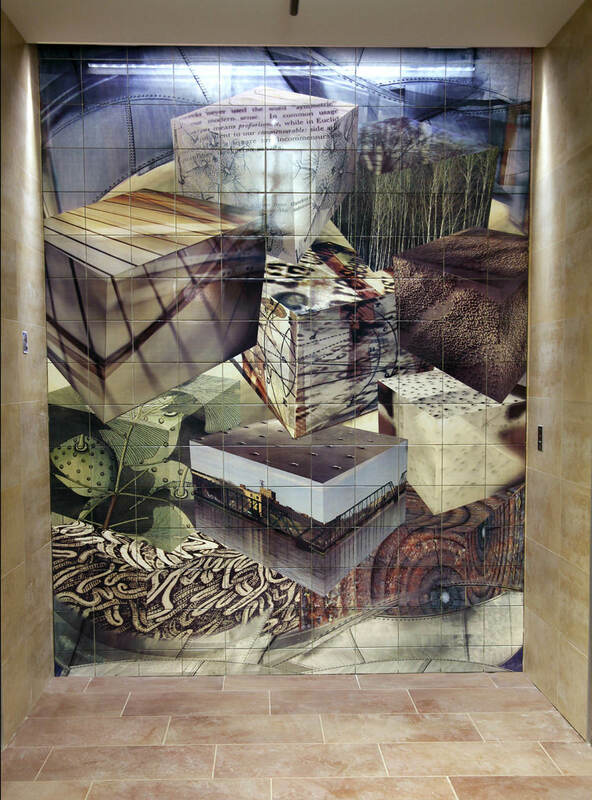 For a medical school, 2 walls of image fused to glass are installed in the 4 story Atrium & 7 ceramic elevator endwalls of artwork reveal stories reflecting the teaching occurring on each floor. A few imagery sources were contemporary photos taken in Grand Rapids, collection of medicinal plant illustrations, 15th C human anatomy drawings.